I read pretty much exclusively YA contemporary in July, with a few exceptions. On the list for today we have: How To Be Bad, Vivian Versus America, The Disreputable History of Frankie Landau-Banks, Birdy and Only We Know. I also read Lorali and Everything Everything, the review of which will follow at some point this month! Written by three authors, E. Lockhart, Lauren Myracle, Sarah Mlynowski, we are given the three points of view of Vicks, Mel and Jesse as they take a road trip together. 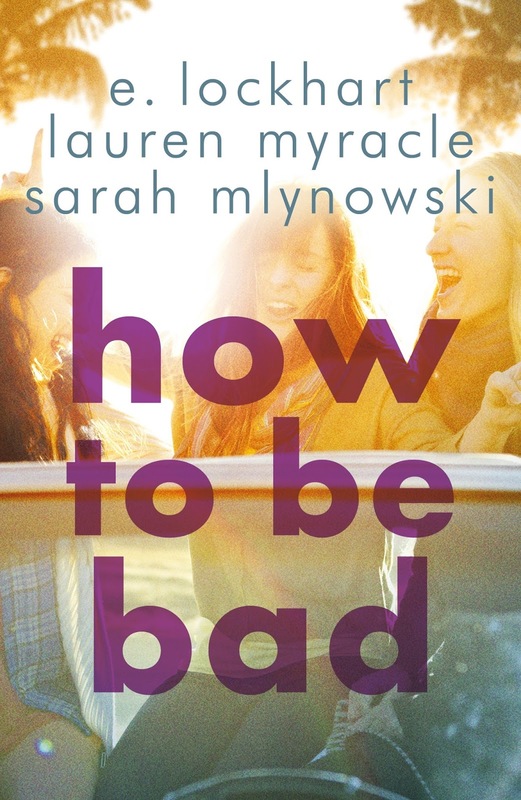 The three girls all work together at a waffle house and are all very different; Vicks loves to party and it's her suspiciously-quiet-newly-moved-to-Miami-for-college boyfriend who inspires the roadtrip; Jesse is the one who actually suggests the road trip and steals her mum's car to do so, which is very out of character for this very Christian girl, who lives in a trailer with her mum, who has just been diagnosed with breast cancer, a fact Jesse is not sharing with her friends; Mel is new to town and keen to be liked, the middle sibling from a rich family. Adventure ensues, with the 2 day road trip becoming some kind of emotional turning point for each of the girls. One of them falls in love with a stranger overnight, they all fall out and make back up, there's an alligator and a duckling, an almost hurricane, and a trip to Epcot. The book of obscure landmarks is a great device to get the characters in fun situations and I kind of wish more had been made of that, it was very John Green-esque. Overall its a quick read, perfect for summer holidays, with three female characters who all learn something about each other in order to better themselves. I loved the first in this two-part series, Vivian Versus the Apocalypse, so I was super psyched to read Katie Coyle's sequel. It picks up where we left off with Viv and Harp in San Fransisco, under strange red skies, unsure of where to go next in their search for Peter and on their mission to take down the Church of America. Finding themselves under the care of a secret resistance organisation, of which Viv's half sister is a key member, they seek to spread their story of the fake rapture and find out where the rest of the missing raptured have ended up. 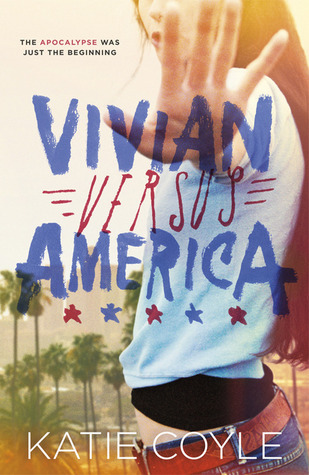 Viv and Harp end up having to deal with issues of right and wrong on both sides of the war, figuring out where to place their trust, and how to navigate the madness of the Church of America and its power over the people. Old friends crop up and the actual non-religious end of the world looks to be at best decades or at worst a couple of years away. This was a fantastic end to the story, with Viv and Harp developing further the character they had become in the first part. The final scenes are pacey and exciting, and the looking-out-into-the-unknown ending was perfect. I would have loved a third part of this story, purely because I love the characters and want to see how they deal with what comes next for them, however I really respect that the story being told only needed two parts. E. Lockhart is fast becoming a favourite for me. I loved We Were Liars, it left me with chills and in need of a lie down and a stiff drink. The Disreputable History had me actually applauding in my quiet living room as a finished the final page. Frankie Landau-Banks is a wonderfully self-aware character, who aged 15, attends the prestigious boarding school her father attended before her. His talk of its secret elite society, the Loyal Order of the Basset Hounds, and the old-boys network, inspires Frankie to seek out the secret, hidden book of the society's history and attempt to disrupt the decades old balance of power. Dealing with exclusivity, gender politics, patriarchal societies, this book is a brilliant challenge to established and outdated norms. The main plot line follow Frankie's rise to popularity as the girlfriend of Matthew Livingstone, a member of the secret society. Matthew keeps this secret from Frankie, much to her chagrin, leading her to investigate further and to her secret and anonymous take over of the Basset Hounds, pulling large scale pranks oozing with social commentary, which is for the most part missed by her fellow students. Intertwined with this Lockhart uses theories of the panopticon, references to P.G. Wodehouse's Jeeves and Wooster and the word play of 'neglected positives' to create a rich and intricate world of knowledge for Frankie to inhabit. Frankie is a intelligent, restless character, who breaks boundaries and rejects expectations, and I would love a whole series of Frankie Landau-Banks stories. 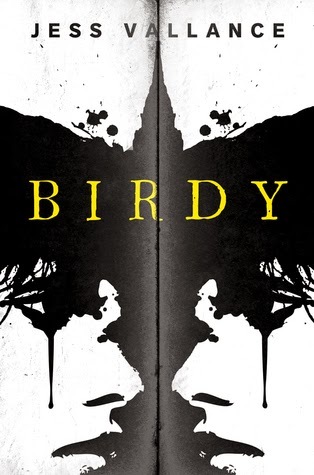 Birdy by Jess Vallance follows the story of Frances Bird, a loner who has made it all the way through to her teenage years without any friends. She is asked to be a buddy for a few day to new girl Alberta, and soon they are friends. Alberta is posh, a little eccentric, and unsure of her new school surroundings, having been home-schooled up until this point. Frances, whose new nickname coined by Alberta is Birdy, strives to look after her and make sure she doesn't make any crucial mistakes in the unforgiving world of high school. Alberta has a few secrets, from her time before coming to the school, to which she entrusts her new friend. As mysterious messages start appearing from apparent bullies and the secret is in danger of being revealed, Frances becomes even more concerned with keeping Alberta safe and happy. At first I thought this book would be slow and lacking in excitement, with Frances living with her grandparents, and having only one friend. However as Frances' paranoia over Alberta's safety and the security of their friendship begins to show, it becomes increasingly clear that Frances is an unreliable narrator. It definitely hit me as a twist with the dramatic events of the final chapters being narrated as no big deal by the clearly unstable Frances. I'm sure some people saw it coming a mile off but I had no idea what so ever what was coming. This is a great book if you love a bit of a who-dun-it in a high school setting. 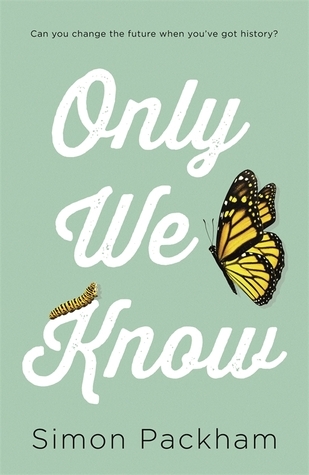 Simon Packham's Only We Know has a similar set up to Birdy, with Lauren starting a new school determined to reinvent herself after something we presume is bad has happened to cause her parents and sister to move town and start over. Lauren's sister Tilda is pretty unhappy with the move and seems to resent her sister for the move. At school, Lauren recognises someone from her past, Harry, and is terrified he will reveal her secrets to the rest of the school however he seems not to recognise her. She is settling in well and making friends, gets invited to parties and is helping with the school fashion show when mysterious messages and packages start appearing in her locker, threatening to reveal her secret. We see Lauren dealing with anger issues, running through coping mechanisms in her head, anxiety and stress causing eczema, and terrible nightmares haunting her every night. Lauren's secret is revealed to us very slowly, and again it hit me with a big twist, both the who-dun-it and the secret, although I'm sure many people were cleverer and saw it coming. at first when it is revealed Lauren is transgender and her transition caused terrible bullying at her previous, I was thinking that maybe this felt a little like short changing the issue, not giving transgender issues their full air time as we don't know the book it even about that until the end. However after I gave it a little more thought I began to see that the book doesn't need a big LGBT sticker on the front to let us know. That we don't know the character and her issues and anxieties are related to her being transgender, doesn't make them not so. Very cleverly the author presents the character as a person with problems and secrets and a past, and so when the big reveal occurs, we can look back think about whether we would have viewed the character differently if we had known the secret all along. I think this book will be a great way of changing people's perceptions, and would be a such a good one to be read by teenagers and discussed in a school setting, especially as Lauren is given such support from her school and peers and given a happy rather than tragic ending. Look out for my reviews of Lorali and Everything Everything in the next few days/weeks. I hope you are enjoying the August-blog-thon so far!